Great group from Sun Med today. A few familiar faces and a couple new. Introducing new people to the world of fly fishing is a great privilege that we hope will lead to a new passion in the outdoors. 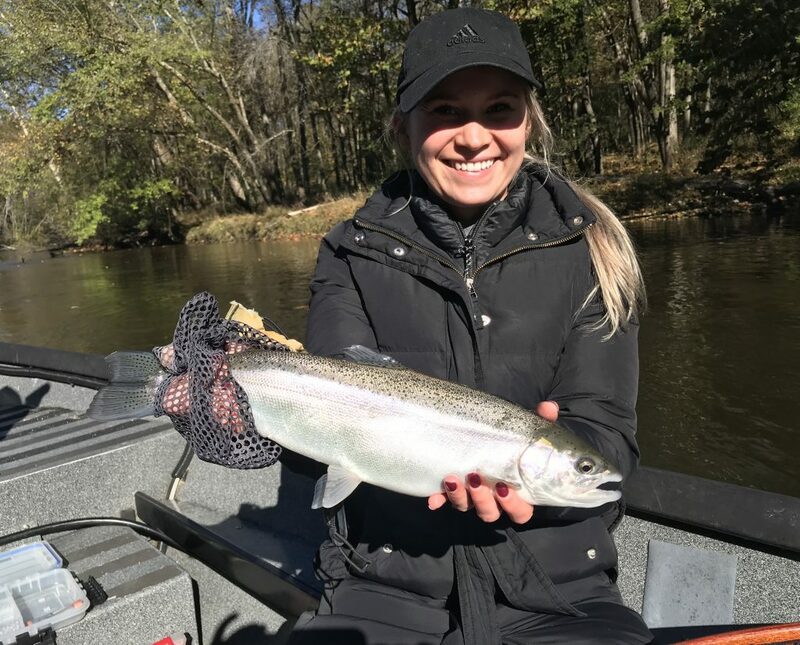 High skies and lots of fall leaves in the river certainly made for some difficulties, but perseverance prevailed and Alissa posed her first steelhead for the camera on her first fly fishing trip. Congrats!